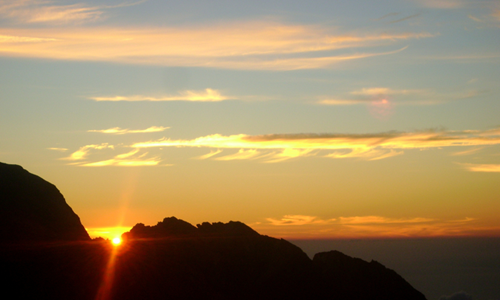 Mount Agung Trekking is one of best adventure in Bali to see the beautiful sunrise. 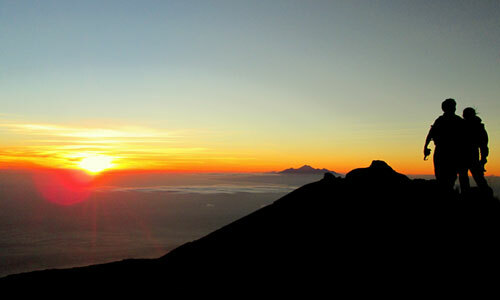 The best way to reach Mount Agung is via Besakih route. The amazing adventure will be started nearby Besakih temple which it is named as screed temple in Bali, we can also call it as Mother temple of Bali. 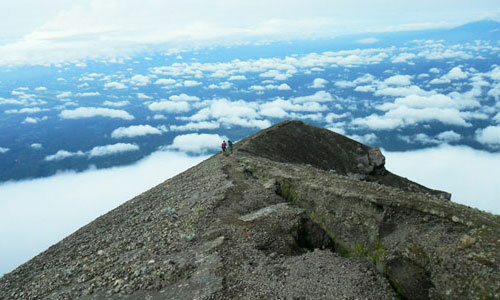 The ascent will take approximately 5 to 7 hours and end at the very highest point of the mountain which is 3,142 meters above sea level. 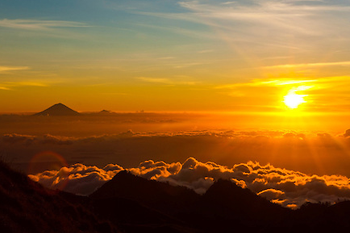 Mount Agung is a mountain that is located in Bali Indonesia. This Volcano is the highest point on the island. It dominates the surrounding area influencing the climate. 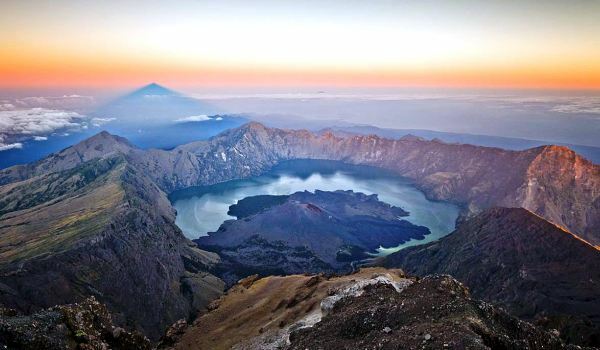 The Balinese believe that Mount Agung is a replica of Mount Meru, the central axis of the universe. 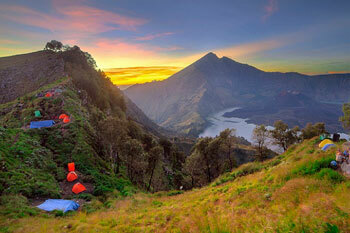 One legend holds that the mountain is a fragment of Meru brought to Bali by the first Hindus. 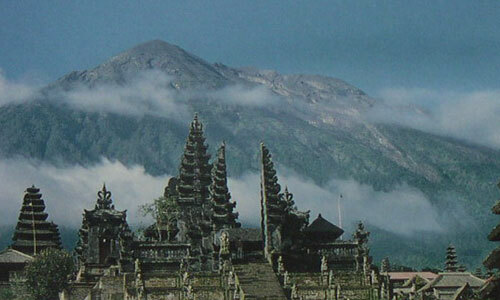 The most important temple on Bali, Besakih Temple, is located on the slopes of Mount Agung. 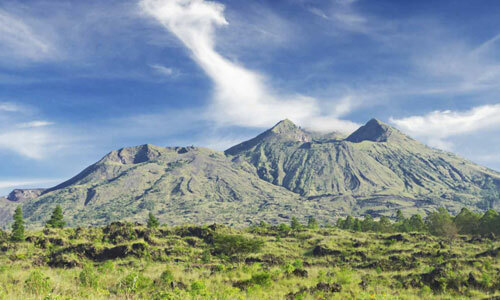 Mount Agung last erupted in 1963-64 and is still active, with a large and very deep crater which occasionally belches smoke and ash. From a distance, the mountain appears to be perfectly conical, despite the existence of the large crater. 08.30 – 09.00 pm : Pick up at your hotel, depends on where you stay in Bali. 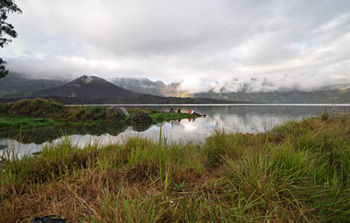 07:30 am : Begin our descent to finish point of our trek. 12:00 am : Arrival at starting point and boarding car. 02:00 pm : Return arrival at your hotel.